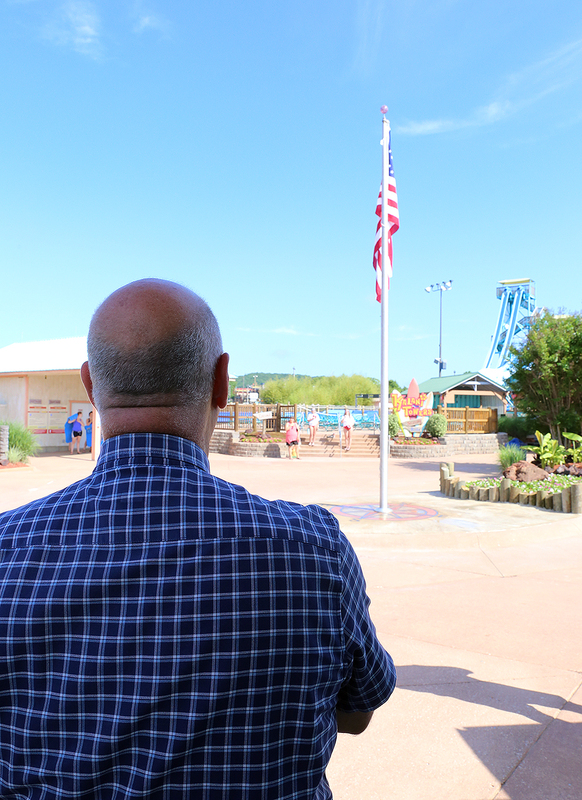 This week at the Showboat Branson Belle, Silver Dollar City and White Water has been chock-full of summer fun. 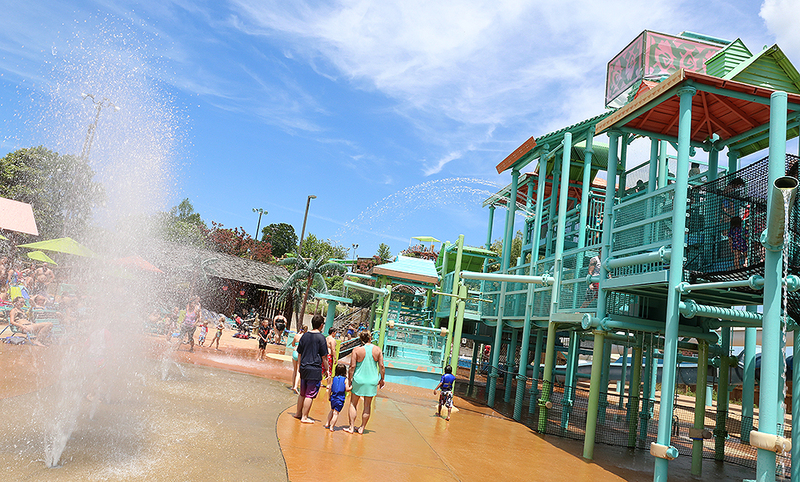 See for yourself with these new photos! 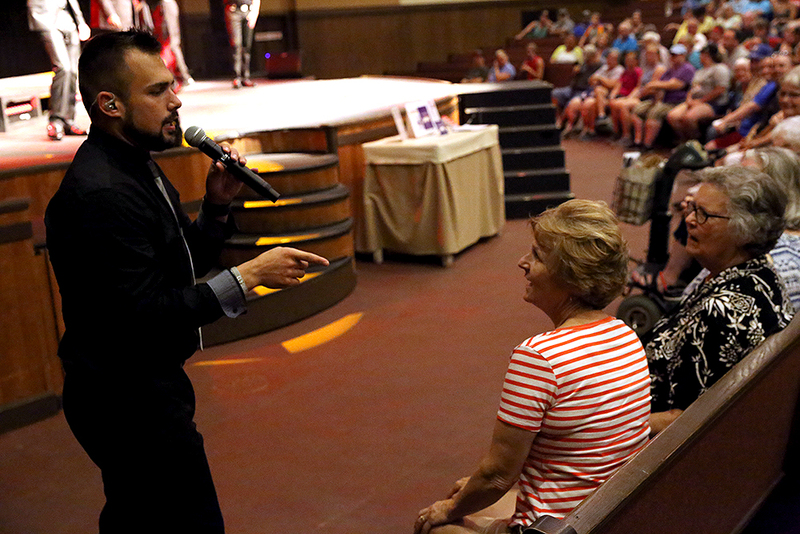 ‍Audience members look on as the Showboat's singers and dancers perform "Shout." 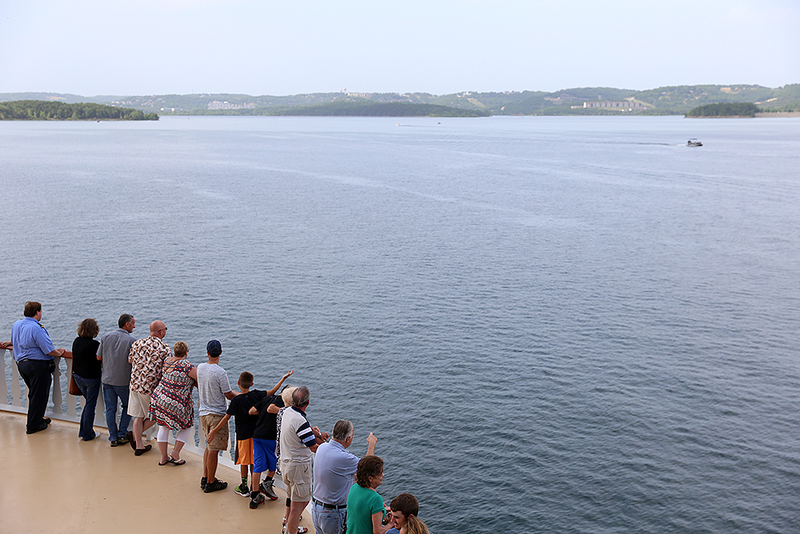 ‍Guests line the third deck of the Showboat Branson Belle to look over the waters of Table Rock Lake. 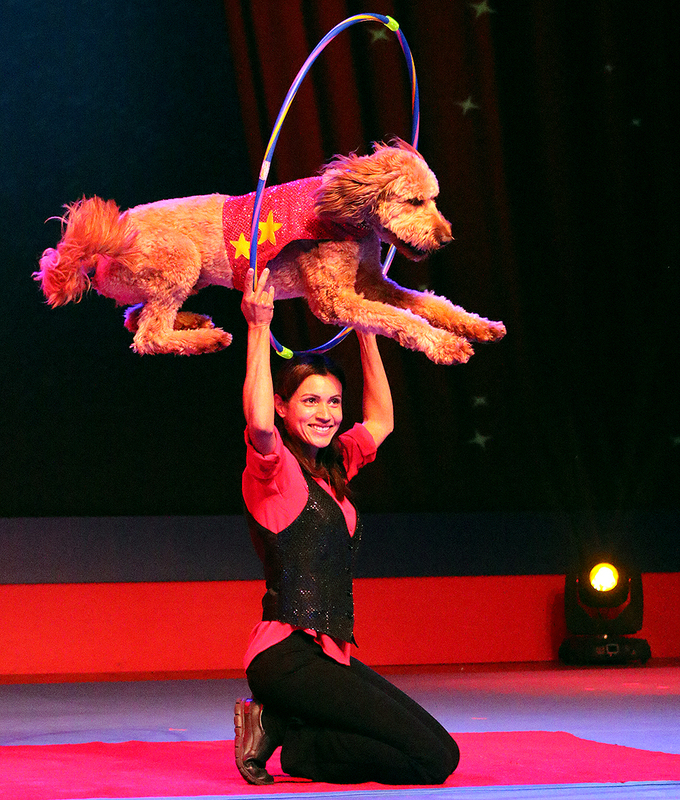 ‍A stunt dog leaps through a hoop held by Suhey Perondi during the Stunt Dog Experience show in Red Gold Heritage Hall. 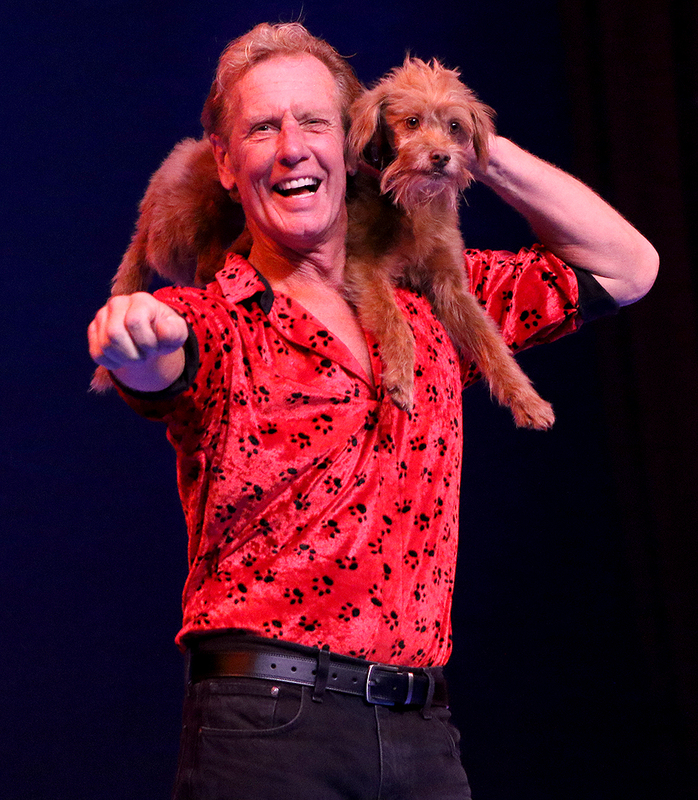 ‍A stunt dog performs a paw-stand on trainer Chris Perondi's hand at the end of the show. 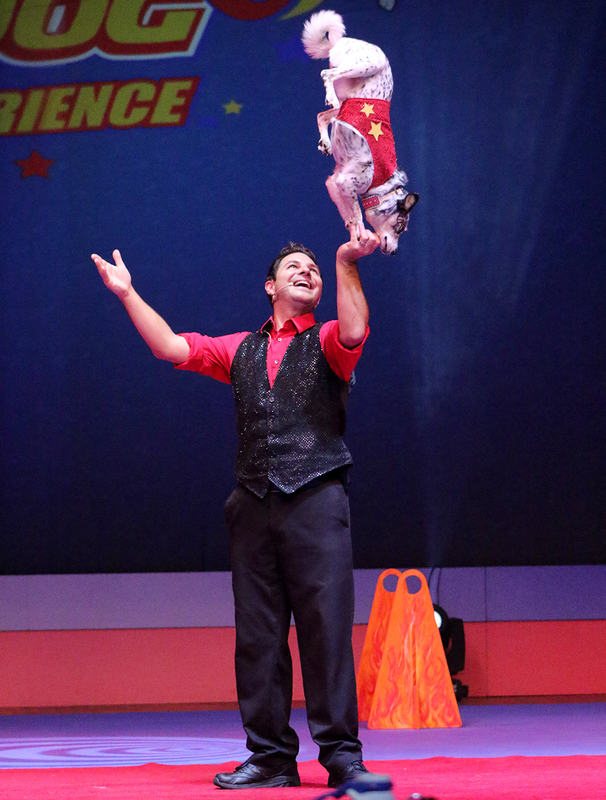 ‍Stunt dog trainer JR Johns salutes the crowd after finishing his act during Chris Perondi's Stunt Dog Experience. 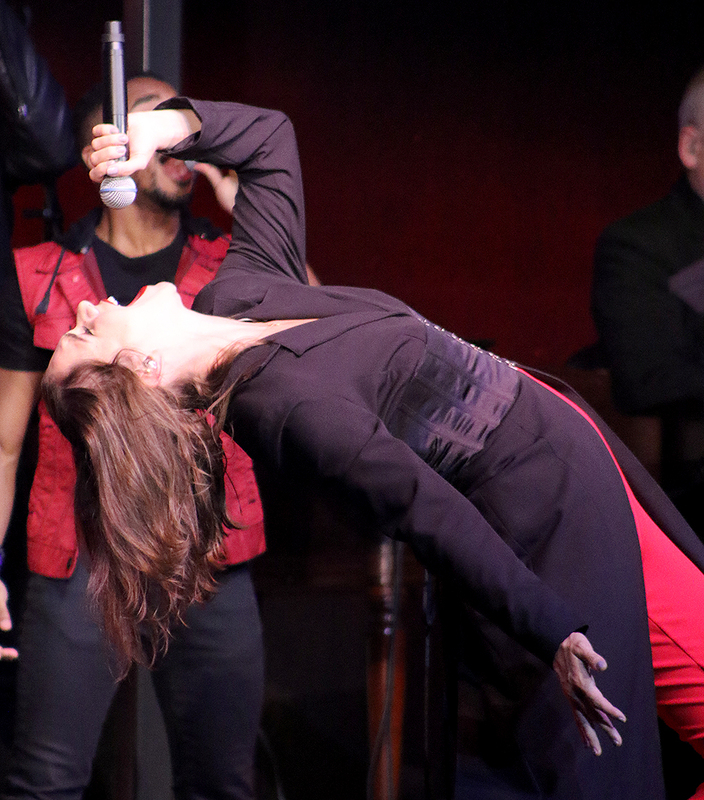 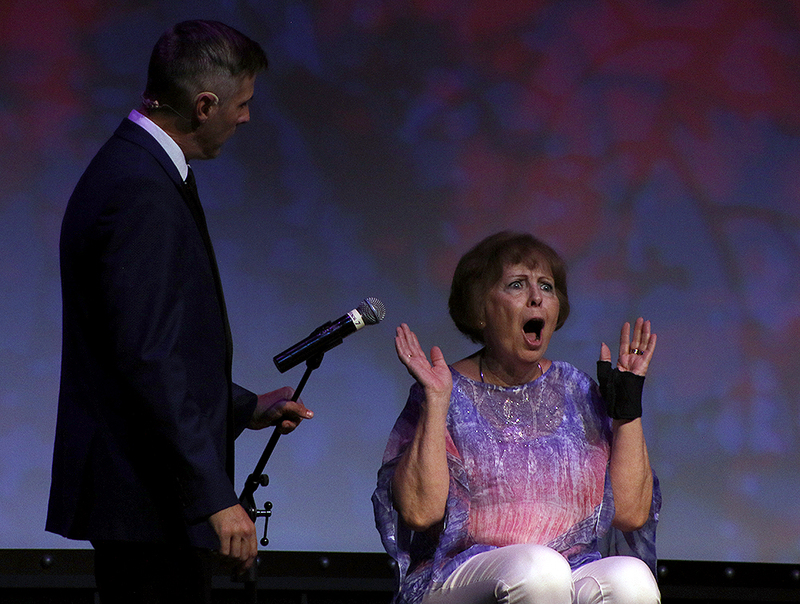 ‍Mitchell Rains of Rockapella hops off the stage at Riverfront Playhouse to invite a lucky audience member to join in the act. 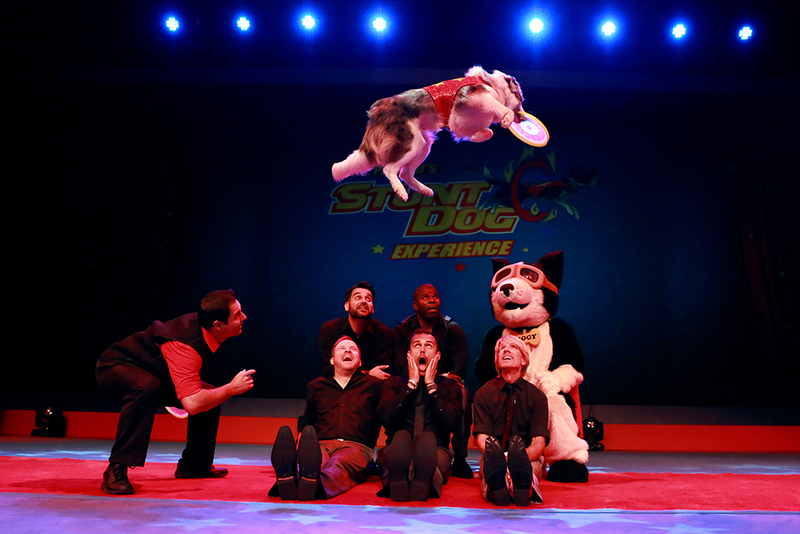 ‍Vinny Valentino leaps over Rockapella to catch a flying disc thrown by his trainer during a promotional shoot for Star-Spangled Summer. 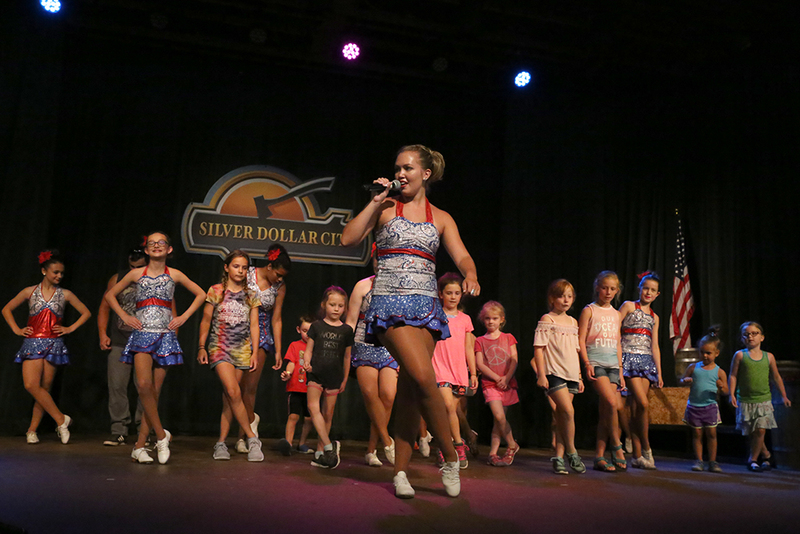 ‍The Championship Cloggers invite young guests on the stage to teach them some clogging techniques during a show in the Boatworks Theater. 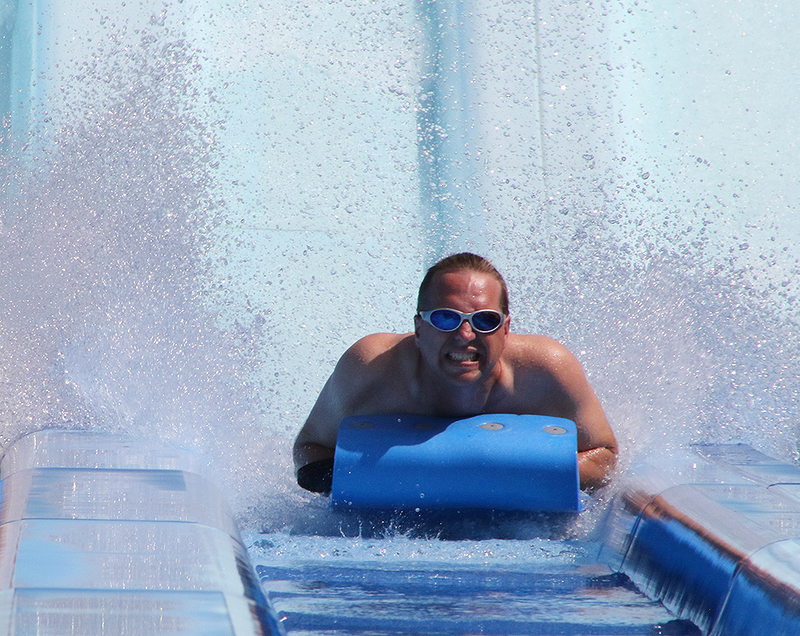 ‍A guest makes a splash as he cruises to a victory on Kalani Towers Mat Racer, a head-first slide that lets up to four guests have a friendly head-to-head competition. 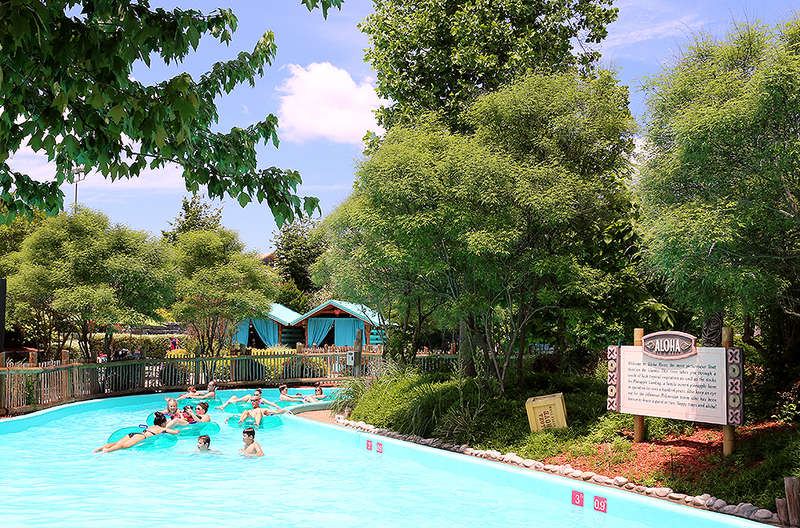 Make plans to visit the Showboat Branson Belle, Silver Dollar City and White Water this summer!